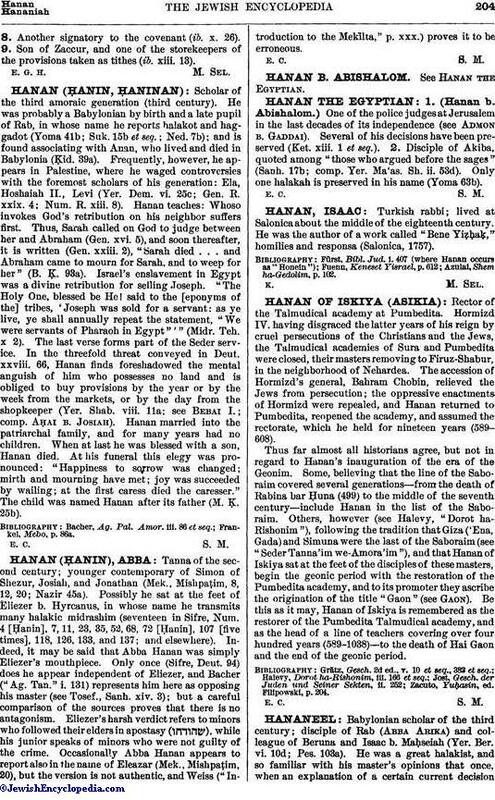 Babylonian scholar of the third century; disciple of Rab (Abba Arika) and colleague of Beruna and Isaac b. Maḥseiah (Yer. Ber. vi. 10d; Pes. 103a). He was a great halakist, and so familiar with his master's opinions that once, when an explanation of a certain current decisionwas sought of Ḥuna, the latter would not discuss it until it had been ascertained of Hananeel that Rab held the decision as law (Bek. 24b). By profession he was a scribe, and was so skilful and reliable that Ḥisda declared that the whole Law might be written out by Hananeel from memory were it not that the sages forbade writing Scripture in that manner (Meg. 18b; comp. Yer. Meg. iv. 74d). 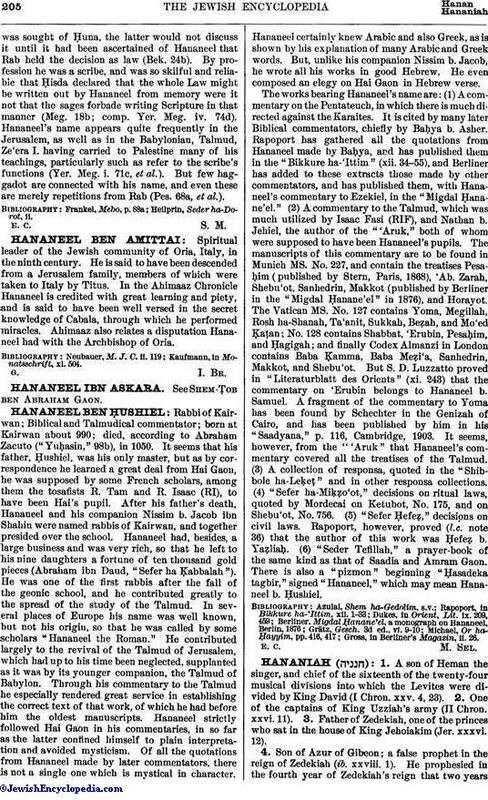 Hananeel's name appears quite frequently in the Jerusalem, as well as in the Babylonian, Talmud, Ze'era I. having carried to Palestine many of his teachings, particularly such as refer to the scribe's functions (Yer. Meg. i. 71c, et al.). But few haggadot are connected with his name, and even these are merely repetitions from Rab (Pes. 68a, et al. ).